Location: About half way between Marmaris and Fethiye. It is fed by natural limestone reservoirs so the water is clear, turquoise-blue and warm. It can be run all year round, although the upper section gets very technical towards the end of the summer (Sept-Oct) and all of the sections can become large in spring after heavy rain, rising by at least a grade. 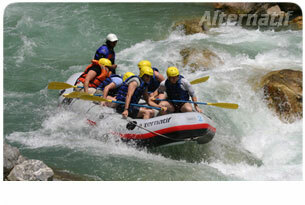 rapids are easily inspected and portaged if necessary. 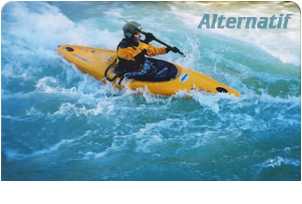 The river is pool-drop in nature allowing for straightforward rescues. However, road access is only available at put-in and take-out points. The river flows through a series of gorges, dividing it into two consecutive sections above the village of Akkopru. The upper section (Grade 5) and the lower section (Grade 4) can be run in a single day, but only by camping at the put-in. The lower section can be run in a single day including transfers from resorts such as Marmaris or Fethiye. Village house accommodation is available in Akkopru. 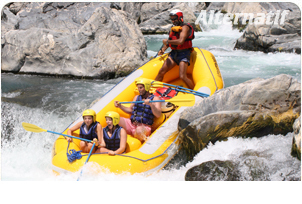 Click here for Dalaman River rafting trips. Location: About half way between the city of Antalya and the resort of Side. One day of grade 3 and another day of easy grade 1+. The river is medium volume pool drop in character. Between the two sections mentioned an otherwise grade 5/6 gorge is made impassable by a riverwide sump. Village house accommodation is available. Location: About two hours drive east of Side. One day kayaking on pool drop grade 3-4 (depends on water level. The river starts off fairly technical but rapidly gains water. Reasonable road access is available along most of the route, although the river does pass through a number of small gorges. One 8m fall can be run but is usually portaged, its approach is obvious from the water. The Alara is best run during spring and early summer. Location: Close to Side on the Turkish south coast. The river flows through a series of lengthy gorges, splitting the river into two sections. Road access is only available at these points. The upper section gives two days of sustained grade 5 on a relatively high volume river, the lower section provides a further day of grade 4. The Manavgat is for experienced and confident grade 5 paddlers only. Location: About 3 hours drive SE of Cappadocia. The nearest town to the put-in is Yahyali. One or two days of pool-drop grade 3, run able all year round. Allow up to one day for transfers between rivers in this area. The best season for all these rivers is March-June, although some of the rivers can be run all year round as indicated. They are all situated in remote, mountainous areas and areas of outstanding beauty, kayaking in this region offers more than just white water but also a superb locality in which to experience it. The area also offers a host of opportunity for Canyoning, rafting, mountain biking, climbing, mountaineering, caving, sailing and sea kayaking, as well as many historical sites. 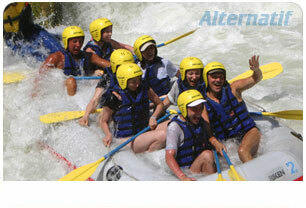 Up to 5 days kayaking or rafting on a high volume pool drop river. The river increases in difficulty through the 5 days from grade 3 to sections of grade 5 at peak flow. There are a number of side streams that can also be run, e.g. Barhal, Oltu, Tortum, Ovit (all Grade 4). Road access is available at all times, allowing easy inspection/portage. 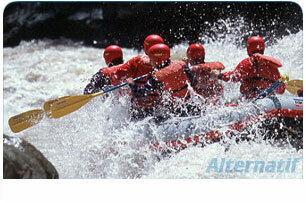 Peak flow is in late May and early June, by mid July all of the harder rapids are a grade easier. 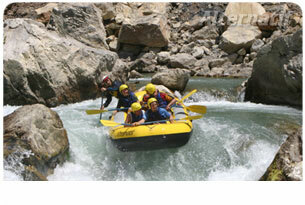 Click here for Coruh River expeditions. Also in the north-east there are a number of steep creeks, such as the Firtina and Macka, flowing north into the Black Sea. This area has high summer rainfall so flows are fairly constant throughout the summer.